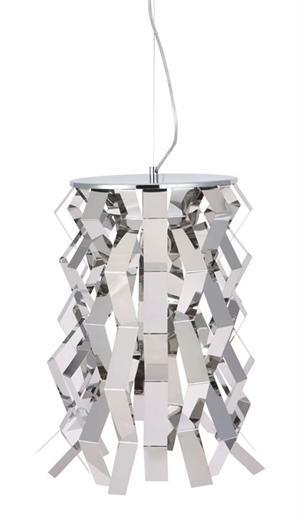 The Fission Ceiling Lamp is a gorgeous piece that shines like a star. These ceiling lamp features reflective strips of chrome that are bent and arranged to form its outer shell, and it is stunning from every angle. The Fission Ceiling is ideal for any environment, being professional or personal.